Michelle Marvig has created this stunning modern sampler quilt with the beginner in mind. Each quilt block is a different technique and the whole quilt making process is covered, from choosing fabrics to binding your quilt. 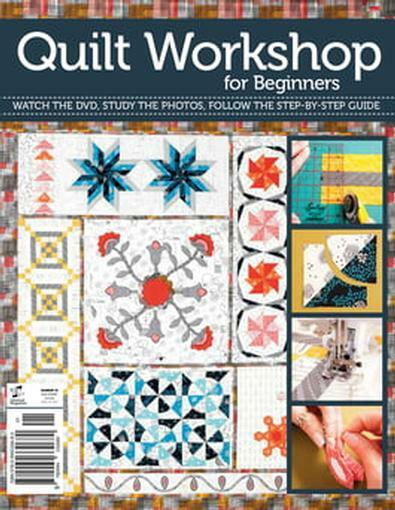 We also have a DVD which takes you through the whole process of making the quilt. Even if you're not a beginner, this is a great way to expand or perfect your techniques. Excellent book with plenty of photos and good, clear description of how to. The only problem is that the book didn&apos;t come with the DVD. I was given this as a starter gift - very helpful. I am looking forward to buying one for my mother-in-law as a retirement gift to help her tick off her bucket list.